TOKYO (JAXA PR) — In the mission of HTV7 (“KOUNOTORI 7”), after completing the re-supply mission to ISS, HTV7 will demonstrate the novel technology for recovering experiment samples from ISS, which Japan has not obtained up until now, by taking advantage of the opportunity of re-entry into Earth with the HTV Small Re-entry Capsule (HSRC) that will be loaded on the HTV for the first time ever. 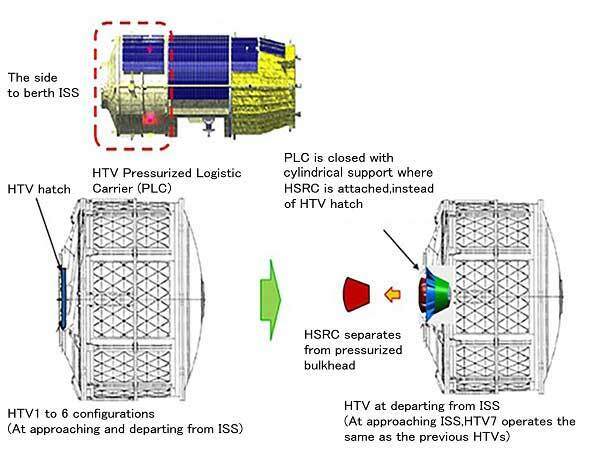 The HSRC with experiment samples on board will be attached onto the hatch of the Pressurized Logistic Carrier (PLC) of the HTV7 before the HTV7 departs (un-berthed) from ISS. After the HTV7 deorbit burn finished, the capsule will be released from the PLC by the command from the ground and re-enter into Earth’s atmosphere, and subsequently descend on a parachute. The capsule will be recovered from the ocean after splashdown. 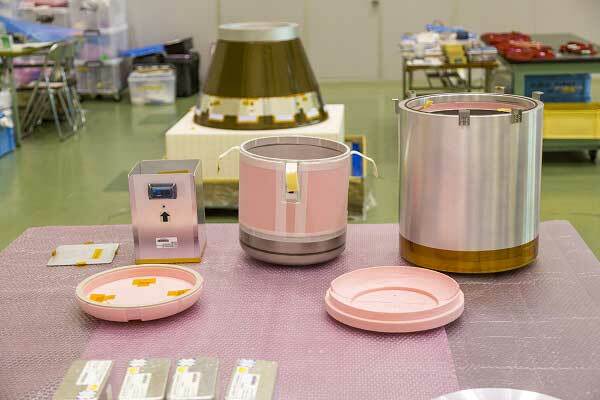 The HSRC aboard HTV7 “KOUNOTORI7”, where samples will be kept cool in a passive way (no electric cooler), houses a vacuum double layer insulation container (thermos bottle) and a heat storage unit (refrigerant), inside of which experiment samples will be stored. Before the HTV7 departs from ISS, the crew will load an HSRC-exclusive structure (cylindrical support) onto the hatch at the entry of the Pressurized Logistic Carrier for air tightness (while the hatch of the HTV7 is left open). Onto the structure, the HSRC with the separation mechanism attached will be fixed. After completing the de-orbit maneuver, the HTV7 will operate the separation mechanism of the HSRC according to the command received from the ground to separate the HSRC from the vehicle. 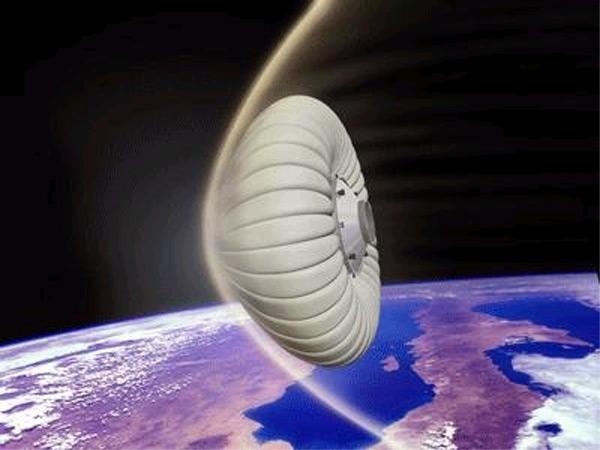 The HSRC will re-enter Earth’s atmosphere in a guided lift flight, deploy a parachute, and splash down into the sea, which in turn be picked up by Recovery Ship. 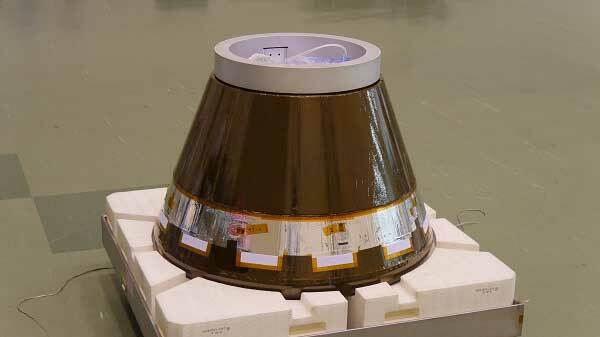 Experiment samples taken out from the HSRC will be loaded onto an airplane on Minamitori Island, immediately delivered to the mainland of Japan (The HSRC itself will remain aboard the recovery ship to be delivered to the mainland). Editor’s Note: The HTV7 launch was originally scheduled for Tuesday, Sept. 7. JAXA has postponed the flight due to a typhoon that is threatening a downrange tracking station in Guam. Biomedical researchers have needed a quick-return small parcel service for a long time. This may open new research opportunities. Just for old time sakes someone should slip in a roll of film. JAXA proposed this, along with a couple of other projects, a number of years ago, but a change in governments and a budget crunch following the Fukushima disaster led to a scaling back of space plans (from what I’ve read). Good to see it revived — I had been following this story, and then it died. The name of the capsule was Raduga. So here we are recreating something Russia did in the 1990s. RIght now, both Soyuz and Dragon can bring down samples. The question is, can it bring those samples right to the lab???? Probably the one that will make a difference would be the Dream Chaser. I think that already happened fairly recently on the Soviet nee Russian Side of the ISS. the Discoverer 13 capsule was recovered by the US on August 10, 1960. It was the first man-made object to be recovered from space (the Soviets would send up two dogs and successfully recover them just a week and a half later) and marked the beginning of the age of space-based surveillance. Oh man, I think I remember that. The cosmonauts were caught taking telephoto pics of the Donbas in Ukraine if I remember right. I doubt a hand held telephoto could get military grade information. Maybe convoys on the highways? What the Russians really need are the old 1m class telephoto lenses they had installed in the Salyut series. If anyone can find a roll of actual film to slip in, that is. Really? I did not hear the other part of that. Kind of surprised that they do not have cams and a decent scope on the iss. I believe it will be 3d printed Ballutes.. once you can just print the landing device it will get rid of some of the need for vehicles to do it.. Yes the US was first to successfully build, fly, and recover a reentry vehicle. Later the US put multiple reentry vehicles on its spysats so that the satellite lifetime wasn’t limited to a single reentry capsule’s worth of film. 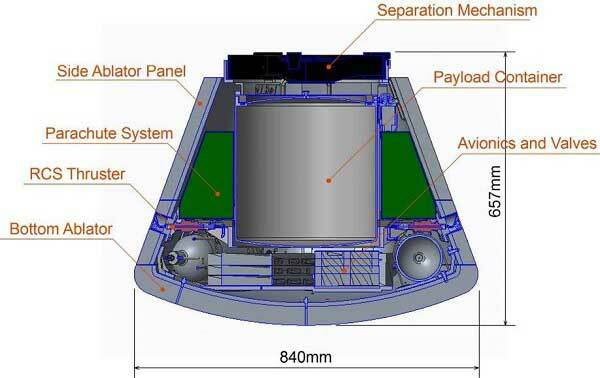 These capsules were their own little spacecraft with their own reentry engine. 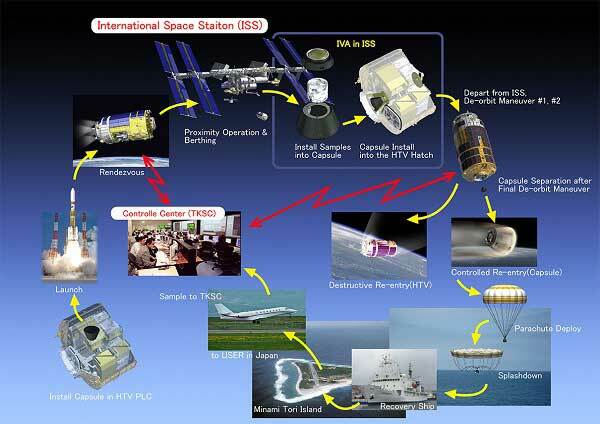 This Japanese vehicle and the Russian vehicle are far less capable add-ons to expendable station resupply vehicles. So, they don’t need reentry engines and all of the other assorted equipment that goes along with that. But in my mind it’s a kluge. Better to make the whole thing reenter and reuse it for future resupply missions (e.g. Dragon, Dragon 2, and Dreamchaser). 3D printed Ballutes? U R dreaming. These materials are high temp materials like silica fibers weaved together for strength and flexibility. You gonna need some bigger space -factories or send up some astronaut with sewing experiences. LOL Even if you ablatables, the nasty chemical process will need a separate module on ISS just to be on the safe side. Wow since you can see into the future on both the evolution of 3d printing in space and material sciences could you pick some lottery numbers for me? I mean gosh .. no one will have a eureka moment in space .. EVER .. so lets pack it up now.. and just let you read tea leaves for us.